It’s a summer morning, you’ve packed your beach bag, and you just can’t wait to spend the day in Santa Monica catching sun on the pier, riding the surf, or cruising the boardwalk. There’s just one problem: What is the best way to park Santa Monica? Santa Monica gets crowded on a summer day, and curbside parking near the beach is virtually nonexistent. Santa Monica has a number of beachside lots that fill up quickly, so it’s best to get there early on weekends. Beach lots are $8 upon arrival on weekdays, $10 upon arrival on weekends. There’s no in-and-out parking, so if you park in one of these lots be prepared to leave your car there the entire day. You can see a list of beach lots and rates here. 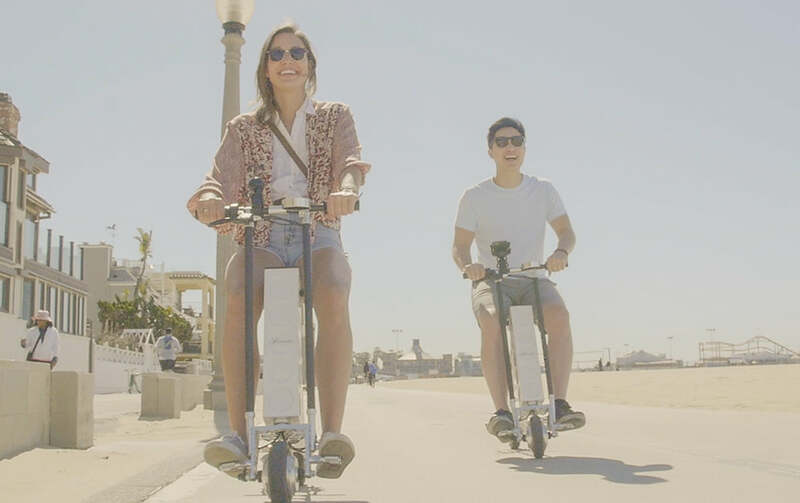 If you’re looking to park and explore, URB-E lightweight foldable scooters are a great option to take along the boardwalk, on the Santa Monica pier, and into downtown. They fit in the trunk of your car right next to your towel, and then unfold to take you where you want to go the rest of the day. There are a number of parking lots and structures near the Santa Monica pier and throughout downtown. The city recommends parking in the pier lot, which fills up quickly on warm weekends and costs up to $15 with no in-and-out visits. Other city lots vary in price, depending on location. You can check real-time parking data on this handy site, which lets you know how full beachside lots are and choose a spot based on availability and price. Santa Monica also publishes parking rates here and general parking information here. Again, URB-E is a great option for getting around Santa Monica once your car is parked. Since it fits in the trunk of your car, you don’t have to worry about bike racks or additional equipment. If you want to get more bang for your parking buck, you can leave your car farther away and URB-E to hot spots along 3rd St. Promenade or the beach. If you’re looking to travel between Santa Monica and Venice, URB-E can get you where you need to go without re-parking and re-paying all day long. Plus, with a 20 mile range on a single charge, you can bop back and forth between Santa Monica and Venice multiple times and still have juice to spare. As of May 20th, 2016, the LA Metro Expo Line will be running all the way from Downtown to Santa Monica. If you're tired of searching and paying for beachside parking, Metro is a fantastic transportation option. Regular fare is just $1.75, and you can get from Downtown to the ocean in just 47 minutes. If you opt for Metro, you may have to travel that pesky last mile to and from your destination. Metro has limited parking at the new stations (read more about Expo Line parking here), but they have outfitted the stations with bike parking, personal vehicle lockers, and a biking and walking path that runs alongside the entire route. If you need a way to get to the train AND to explore Santa Monica once you arrive, URB-E has you covered. 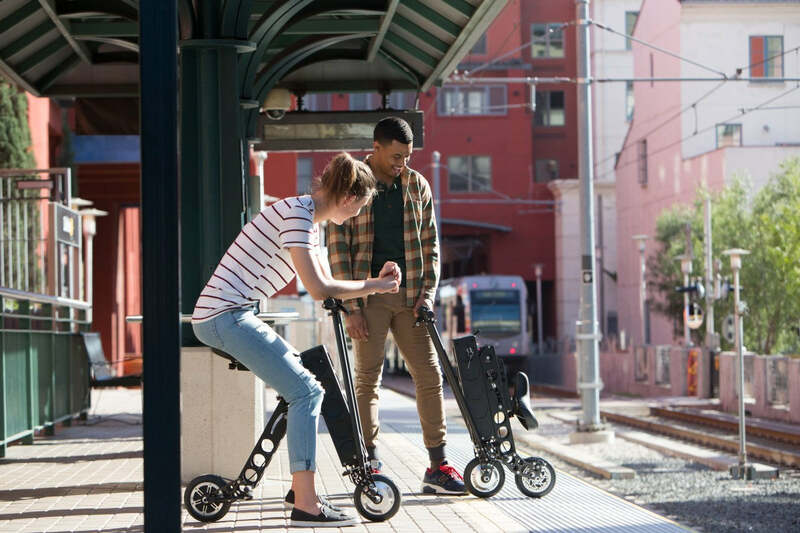 LA Metro is a big fan of URB-E on public transportation because it is so lightweight, compact and easy to ride. You can fold it up, carry it easily on the train, and then unfold it to ride along the shore. Questions about URB-E in Santa Monica? Call us at or email support@urban626.com.